Compared to most countries, Bali is actually very cheap when it comes to holidaying there. In fact, I have friends who actually stay for a whole month, take their computers and just work from the local cafes. The good thing about Bali is that not only do you have a choice of hotels to stay in, but also an array of amazing private villas too. And some are even cheaper than most of the hotels there. On our trip to Canggu we decided to book the Royal Bali Villas which had just recently been built. One of the best things about the location of these villas is that they are situated behind the main road, so it's very quiet, but you are still a three minute walk to the local supermarket and restaurants. There are only a handful of villas on this private road, each with a private pool, living room, kitchen, dining area, two bedrooms, ensuite bathrooms, and your very own walk-in wardrobe. You can easily sleep four people in the villa and not feel crowded. The whole villa is situated around a small private pool, however if your looking to do twenty laps every morning you will be disappointed. It will be more like five laps one way at the most. But don't worry, there are a few beaches near by especially if you're a surfer. It took me about eight minutes on my moped to drive to the closest beach. 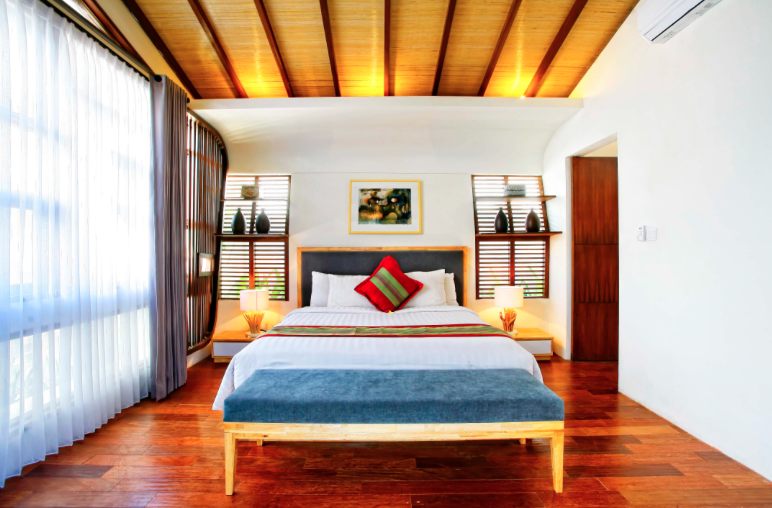 And if you're a yoga fanatic, just three minutes away is the stunning yoga village Desa Seni. Now as Bali is a nature loving country, most of the villas are designed around outdoor living, so be prepared for a few surprising guests. 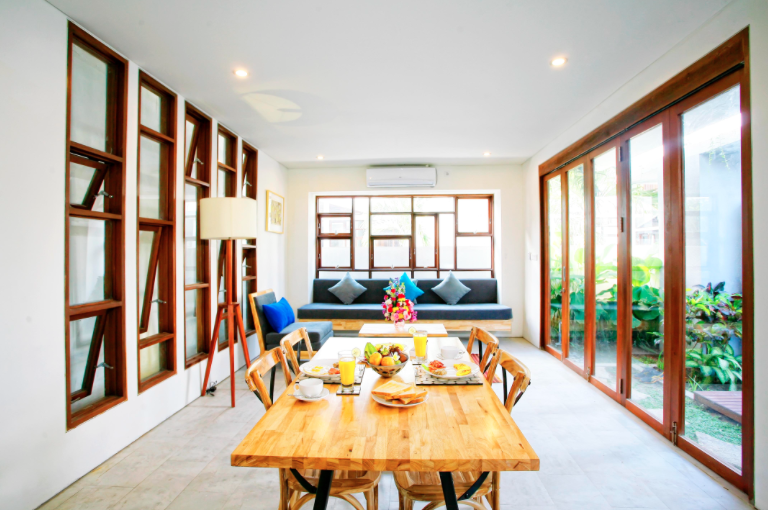 The Royal Bali Villas are minimalistic and modern and situated in a perfect spot in Canggu. And the good news is, if there are any problems whilst staying there, the staff have their very own office next door.